The good news is that now I can access and update the pages again–hooray!–and this will enable a whole new look for the site. The bad news is that there are hundreds of pages to move & update, so it’s going to take a while. And–important–I can’t change anything on any of the current pages. One day they’ll just disappear. Since I can’t get in to put redirect scripts in the pages, WSU says that after everything is transferred, they’ll put redirect addresses in and then will shut the old site down after a while. Women writers at the original SSAWW site at Lehigh, still awaiting scholarly attention. Or “Ubi sunt . . . ?” Where are the disappearing author archives of ten years ago? In our English 573: American Authors and Online Editions class yesterday, the students and I discussed work by Sui Sin Far, an essay by Mary Chapman, and chapter 3 from one of the books we’re reading this semester, Amy Earhart’s Traces of the Old, Uses of the New. Then we kept discussing current sites and lost sites, the individual sites put up as a labor of love in the late 1990s like those of Alan Liu, Voices from the Gaps, NativeNet, A Celebration of Women Writers etc. before the MLA had even adopted its standards for site information in 1999. We talked about how these sites had been made to make reading versions of unavailable texts available (pre-Google Books, remember) and, as Earhart describes, to make a more diverse set of texts available. We talked about Jean Lee Cole’s Winnifred Eaton archive, too, which has fortunately been resurrected here: https://jeanleecole.wordpress.com/winnifred-eaton-digital-archive/. We discussed the difference between HTML and TEI, between (pre-DH? Certainly, as I’ve been told repeatedly, not DH) individual sites and the large, well-funded, and deservedly praised and vetted-by-scholars Walt Whitman Archive or The Mark Twin Project, not to mention the various ways in which we can look visualize data now. We looked at the underlying coding of the early HTML sites. I told them about the pre-Web Taylorology from 1993, that, when we looked at the code, of course did not change because it is plain text. But we also went on a little virtual tour, sometimes courtesy of the Wayback Machine, and I told them about sites that had vanished completely, like Jim Zwick’s Mark Twain and Imperialism, or walled up their texts behind a paywall or university access, like the University of Virginia Text Center or the Women Writers Project–great and innovative projects, no question, but not now available to most of us. We don’t need these now as when we only had individual sites, the Making of America Site and Project Gutenberg. Now we have Google Books, Hathi Trust, and any number of exciting large-scale projects (just go to NINES and look); new ones are announced seemingly every day, and they’re great–metadata, maps, interactivity, great TEI encoding, or whatever. I keep hearing that the era of the archive is over and so is the era of recovery. But if it’s over, why are we still, in some cases, shoring up texts and authors that are in no danger of going away? Why are we leaving the authors who were recovered on those early sites like the SSAWW one still lingering in a limbo–readable but maybe not findable (because metadata), not celebrated, and without all the modern digital accoutrements that would allow them to find a new audience? I haven’t finished adding all the books yet, but new articles have been added to the Regionalism bibliography at http://public.wsu.edu/~campbelld/amlit/regbib.htm. You can also read my Legacy review of Laura Laffrado’s Selected Writings of Ella Higginson: Inventing Pacific Northwest Literature in Legacy: A Journal of American Women Writers Volume 34, Number 1. Figure 1. Cathedral of St. André in Bordeaux Not the conference venue, but nice all the same, wouldn’t you say? Updates to the Amlit site. A “research workflow” post with some new (for me) ways of processing materials I’ve looked at in archives. “Biography corner” posts on W. Somerset Maugham and Daphne duMaurier. More later, and, like all disappearing bloggers, I promise to do better. Updates to the American Authors Frederick Douglass page at http://public.wsu.edu/~campbelld/amlit/douglass.htm and bibliography at http://public.wsu.edu/~campbelld/amlit/dougbib.html (in new MLA format). Recently added: link to the University of Rochester’s Frederick Douglass Project. Sinclair Lewis, Jack London, Sui Sin Far/Edith Eaton, Paul Laurence Dunbar, Edith Wharton, Kate Chopin, Theodore Dreiser, Stephen Crane, Upton Sinclair, Mary Austin, Frank Norris. Were they prophets without honor in their own country? Back in the mid 20th century, when the world was young and New Criticism ruled, they were all sort of . . . well, political, and everyone “knew” that Art was never Political but a well-wrought urn. The closer to modernism you could get on a sliding scale, the greater you were as an artist. Maybe Crane is sort of like Gertrude Stein! Maybe Wharton is like Henry James! Dreaming of being Henry James? Nope. Except that art isn’t disinterested but is always political, as critics since have pointed out. And the works you may have read by them, if you read them at all, were carefully curated to be Art rather than Politics. This issue comes up now because all of a sudden people are rediscovering Sinclair Lewis’s It Can’t Happen Here. But he wrote a lot of other good stuff, too, as did all the writers listed above, all of whom are well known today but often for a few works. I started this post meaning to talk about them all, but there’s so much to say that this list will be only about Lewis; I will write about the rest later. I’ve read all his novels except The Job, many (Main Street, Babbitt, Dodsworth, Arrowsmith, Ann Vickers, Elmer Gantry, Cass Timberlane) more than once, though I couldn’t honestly tell you much about Gideon Planish or some of the other later ones. Say you want to read or teach a Sinclair Lewis with some social or political relevance. I’m including the film versions, too. It Can’t Happen Here, about a homegrown fascist takeover of the U. S., is popular right now. Ann Vickers: Feminist social worker with an honorary doctorate in sociology works in a settlement house, tries to reform a Southern prison, fights capital punishment, has an unhappy love affair and decides to have an abortion, and finally falls in love with a judge and decides to live with him when his wife won’t give him a divorce. Oh, and everyone calls her “Dr. Vickers.” The Pre-Code movie version stars Irene Dunne; you can read a good discussion of it here (the source of the image). Main Street (1920): The novel about Midwestern small-town America that made Lewis’s reputation, with a dissatisfied heroine who tries to reform a town that thinks she’s the one who needs reforming. It was made into a movie called I Married a Doctor, but the movie doesn’t convey the depth of the book. Image courtesy TCM. Babbitt (1922): Begins with 24 hours in the life of a real-estate salesman (“Realtor!” I can hear Babbitt yelling) and then shows his growing anomie and disillusionment with conformity. He turns down the right-wing Good Citizens’ League and searches for his idealistic roots, only to–well, you’ll have to read it. 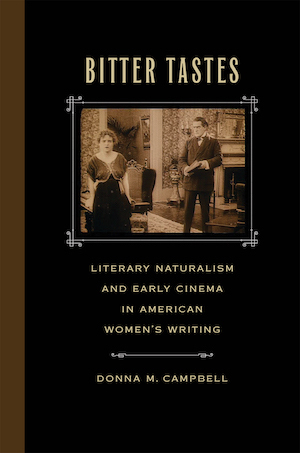 Edith Wharton admired this book. The 1934 Warner Brothers movie stars Guy Kibbee as Babbitt. Arrowsmith (1925): An idealistic doctor-researcher, Martin Arrowsmith, faces incredible pressures from those who don’t believe science is important and discovers a “bacteriophage” to fight a tropical plague. Lewis turned down the Pulitzer Prize he was awarded for this novel. The fine 1931 movie version directed by John Ford and starring Ronald Colman is worth seeing, especially for its portrayal of Arrowsmith’s equal partnership with an African American doctor from Howard University. Dodsworth (1929). 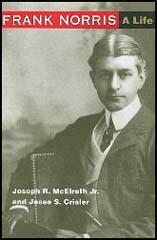 Car manufacturing giant Samuel Dodsworth and his wife, Fran, leave their midwestern city of Zenith (fictional location of many of Lewis’s novels) and travel to Europe, where they try to acquire culture in different ways, Sam through visiting places and reading guidebooks, and Fran by finding men to tell her that she looks and is young. There’s a lot more to it than this, however, including some discussions of Henry James & W. D. Howells as well as broader meditations on American exceptionalism and expatriate living. Fun facts: Dorothy Parker admired the ending tremendously, though she wasn’t crazy about the rest of it, and Lewis dedicated the novel to Edith Wharton. The 1936 movie adaptation directed by William Wyler, with Walter Huston, Ruth Chatterton, and Mary Astor, is based on the stage play and is superb. Kingsblood Royal (1947). The racial dynamics of this are problematic now but were courageous in its day (1947). Neil Kingsblood discovers that he has an African American forebear, a coureur du bois, and defiantly confronts his racist neighbors, culminating in his standing down a white mob. 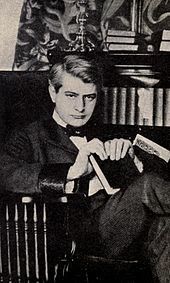 Happy birthday to Frank Norris (March 5, 1870-October 25, 1902)! Reading through the reminiscences in Frank Norris Remembered, edited by Jesse S. Crisler and Joseph R. McElrath, Jr. (University of Alabama Press, 2013) has given me a different perspective from the more formal portrait than McElrath and Crisler provide in their comprehensive biography (University of Illinois Press, 2006). Some of these might be familiar to Norris fans, but seeing the original sources from Franklin Walker’s interviews (the source of his biography on Norris) makes them new again, especially the frivolous details that enlarge our perspective of him. 1. Norris was fascinated by medieval life, especially armaments and implements of war. His friend Ernest C. Peixotto, a professional illustrator who (six degrees of Edith Wharton alert!) also illustrated Wharton’s Italian Backgrounds, told Walker that Norris “started to paint a huge historical picture of the ‘Battle of Crécy'” (26). 2. Indeed, his first publication was Yvernelle (1892), “a long romantic poem à la Sir Walter Scott” (27). He was either proud of this effort or tried to gather all the copies and burn them, according to various accounts. And departed a long time before us. 4. Norris made jokes about his wife’s bad singing (which she shares with Travis Bessemer, the heroine of Blix): “Marriage. Returned to apartment for the honeymoon. They sang with banjo. He let her sing. Said he would let her sing as often as he got married” (144). 5. Norris was not a paragon of organization: “One of the Phi Gamma boys told me–when we were no longer freshmen–that Frank was pretty terrible about keeping appointments–so utterly undependable that it took a lot of patience not to blame him; but nobody ever did blame him, or resent it at all. He had no capacity for keeping money, so they just looked out for him and loaned it when necessary . . . . “(77). 6. Notoriously bad at mathematics, Norris had a friend rig up a game to teach him about the commodities market. As George D. Moulson remembers it, “I recall he came down to Wall street, met me and asked if I would be willing to assist him by coming up to his apartment while he was writing this book he intended to call The Pit dealing with a corner in wheat and help him get the details accurate. . . . We then rigged up a sort of thermometer arrangement on the steam heater, whereby the fluctuations, in cents, halves, quarters and eighths would be shown and we had the market fluctuating as it would during an active day in the pit” (186). 7. Norris was more intellectually than athletically inclined: “He was indisposed toward any violent exercise and not overly strong. [College friend Harry M. Wright] Remembers him in black tights in the gym; not much muscle on parallel bars, looked like a great spider. . . . Only sport was fencing and he was pretty good at it” (109). 8. As a writer, he was intense and focused, as his San Francisco friend Bruce Porter recalls: “He was a ‘tiger’ for names–a tiger crouched to spring. While he waited for an incident that, as he put it, ‘belonged to him.’ When you produced it, it set him on fire. 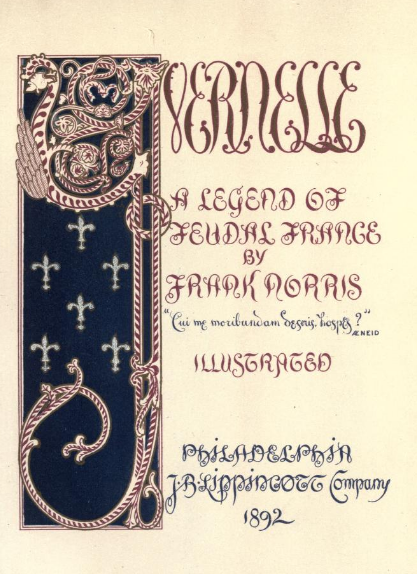 He grasped the bone in his jaws, and retired with it into the lively solitude of his realistic imagination, built up the skeleton, clothed it with flesh, and the man walked, in that peculiar world of Frank’s brain, as a reality” (149). 9. He prized freshness over multiple revisions: [College roommate Seymour Waterhouse] “tried to advise him to revise his work a little more carefully but Frank maintained that that tended to kill the freshness of it” (101). 10. Norris’s early death resulted at least in part by his refusal to believe that he was seriously ill from appendicitis. His wife Jeannette had just had her appendix removed, and Norris, experiencing acute indigestion on October 20, apparently did not believe that lightning would strike twice in the same family, even though he knew that in cases of appendicitis, swift action is best. According the San Francisco Chronicle as related in McElrath & Crisler’s biography, Norris “refused to believe his ailment of so serious a nature as to warrant . . . radical treatment.” Feeling slightly better, he ignored his surgeon’s advice and decided to wait, with the result that peritonitis set in, “with gangrene and perforation of the appendix” (428-29). Norris died on Saturday morning, 25 October 1902, with his wife and his mother by his side. He was 32 years old.